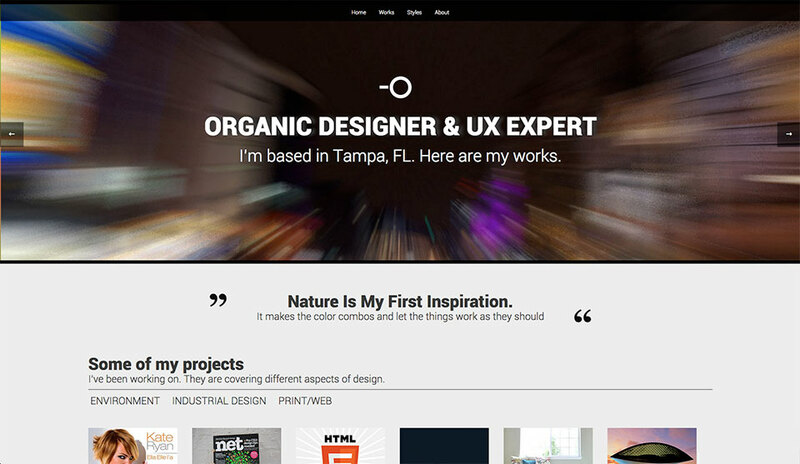 Responsive Portfolio WordPress theme is another theme based on the Masonry jQuery script. The script arranges the posts automatically on the screen. How they will be arranged it depends of the available screen space. Some of the posts can have larger intro images. This is useful if you need to make some items standing out from the others. We also incorporated the Infinite Scroll jQuery script. This script allows segmented loading of the post intros as visitor scrolls down. 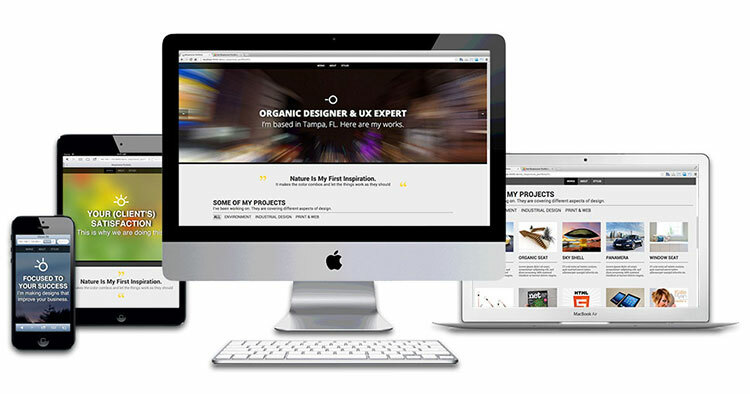 Responsive Portfolio WordPress theme includes the Hot Full Carousel is plugin. It’s used for making slideshows. The slides can contain both images and text. The widget created by this plugin dominates on the home page. 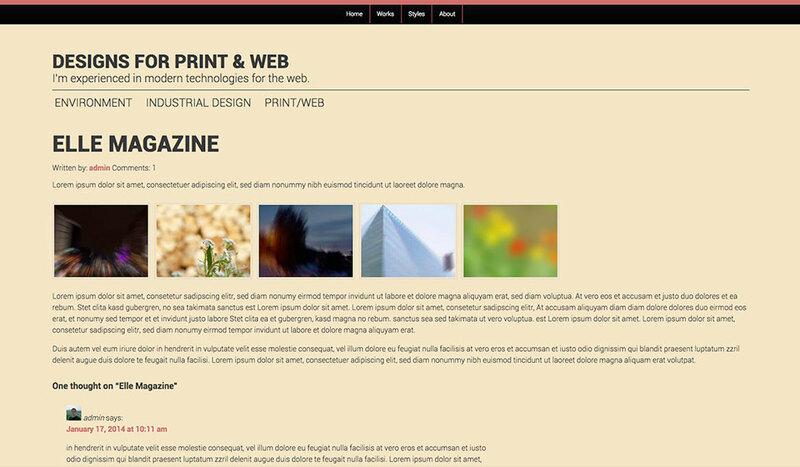 Hot Photo Gallery plugin is also included with the theme. 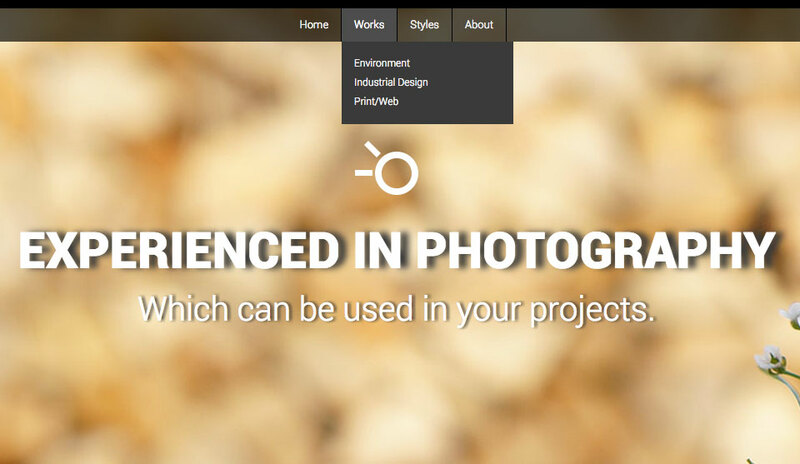 It allows fast and easy creation of slideshows from the images of your portfolio. 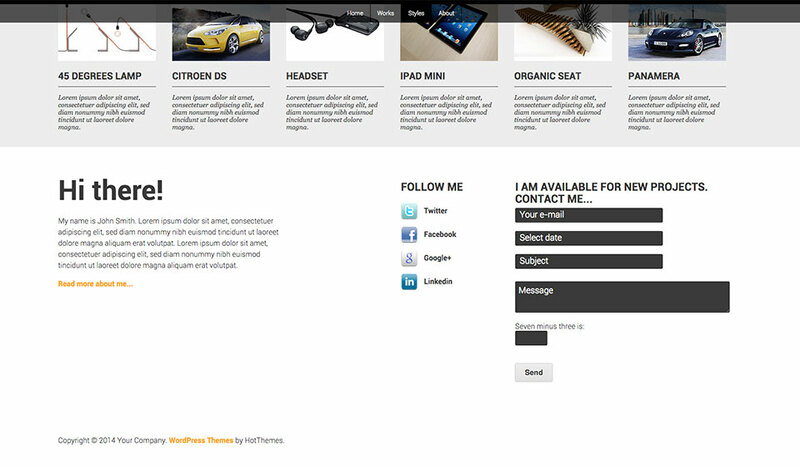 Hot Simple Contact plugin is published as a widget on all site pages. It allows potential clients to contact the site owner by email. 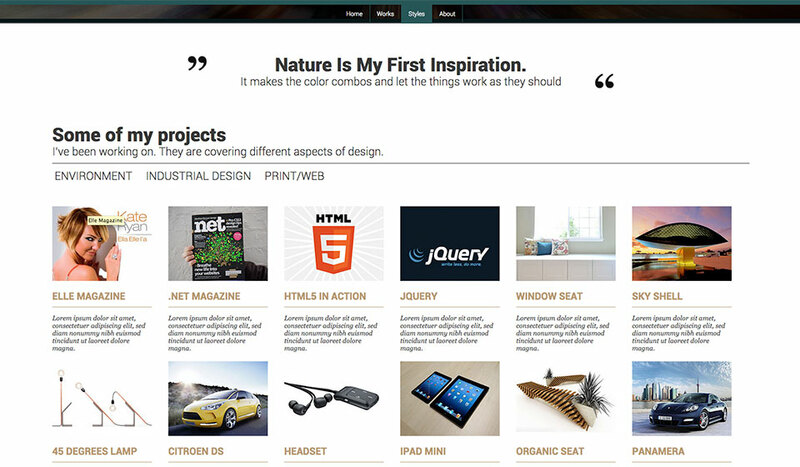 The system of the Responsive Portfolio WordPress theme is based on jQuery Mobile, Masonry and Infinite Scroll scripts. 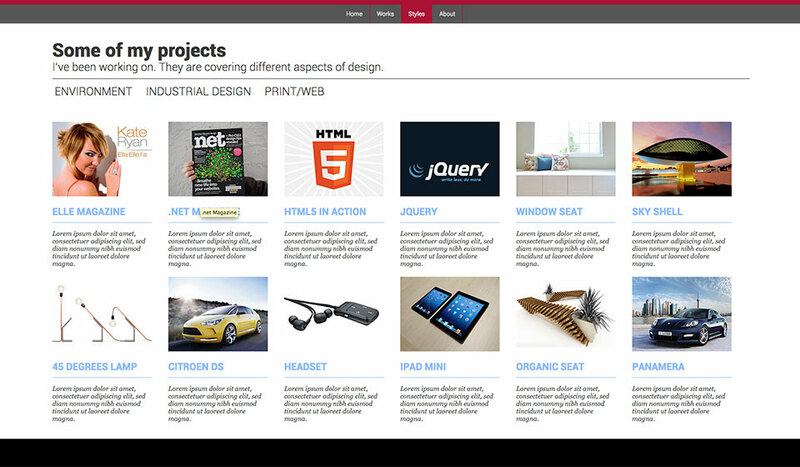 This combination of several jQuery scripts works great on all devices and screen resolutions. 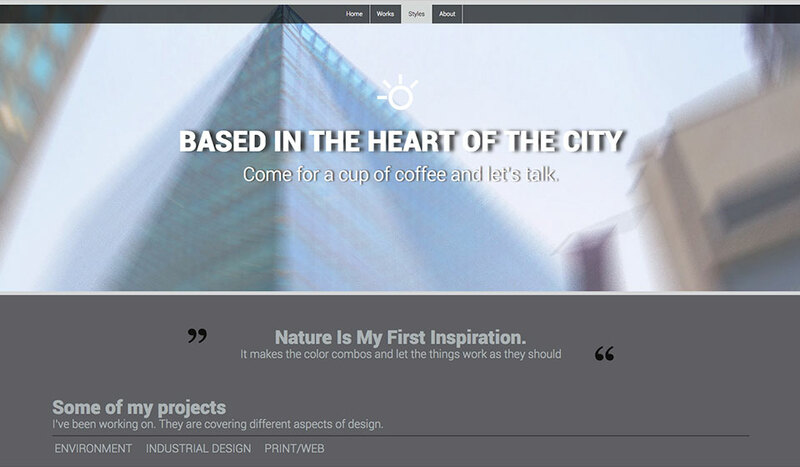 This theme comes in 5 pre-defined color styles. Each style has different main color and backgrounds. 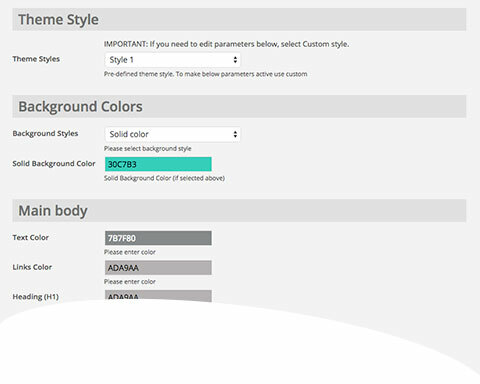 Each color is customizable from the theme options. There are widget positions on top and bottom area. You can also place some widgets on the left and the right side (not used on our demo). The positions change their places according to the available screen space.